The drive-in theater in Graham, TX, is one of at least nine survivors of 20th Century American car culture that will get a second lease on life thanks to a donation from Japanese automaker Honda. A new digital projector was donated to the theater by the Honda Motor Co. Inc. as part of its Project Drive-In, a “national effort to save as many of America’s remaining drive-ins as possible” despite the expected discontinuation of 35-mm film distribution later this year. “Through Project Drive-In, awareness is being raised across the country, offering communities simple ways to get involved and helping this historic part of American cinema and car culture live on,” according to a press release from the auto manufacturer. Graham is in Young County, about 100 miles northwest of Dallas, near Possum Kingdom State Park. “It’s important to help preserve this American icon, and we’re excited to see the benefits of digital projection at Graham Drive-In and their local community,” said Alicia Jones, Manager of Honda Social Media at American Honda Motor Co., Inc. The drive-in theaters set to receive a new digital projector from Project Drive-In were determined by more than two million votes received from Aug. 9 to Sept. 9 at www.projectdrivein.com, according to Honda. 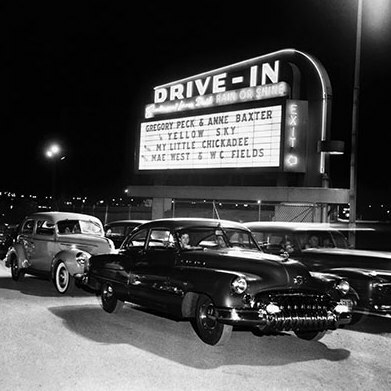 Visitors to the site were encouraged to share Project Drive-In information with family and friends via social media, email or texts, pledge to see one movie at their local drive-in and contribute to the national save-the-drive-in fund to help keep more drive-ins in business. “Cloudy with a Chance of Meatballs 2” before its nationwide release, said Honda. Besides the Graham Drive-In, 99W Drive-In, Newberg, OR; Cherry Bowl Drive-In, Honor, MI; McHenry Outdoor Theater, McHenry, IL, and Saco Drive-In, Saco, ME, will receive the new projectors. Four additional theaters will be identified today by Project Drive-In. They are among hundreds of drive-in theaters risk potential closure because of the costly switch to digital projection, estimated at $75,000+ per screen, according to Honda.